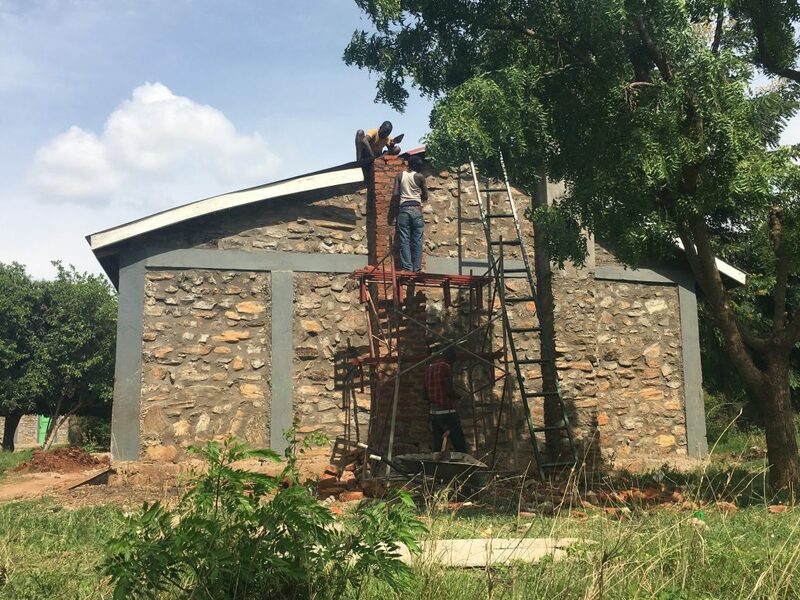 Last week we were able to finalize the cooperation project with Welthungerhilfe Uganda. 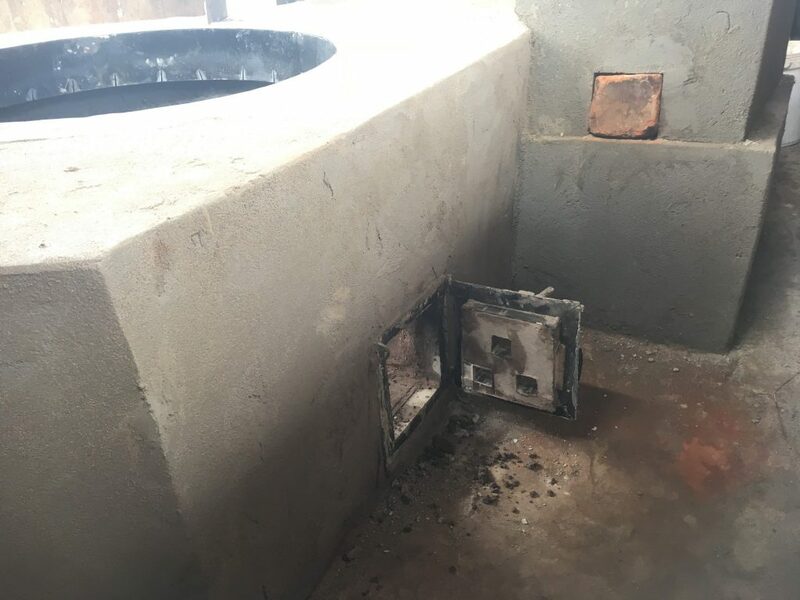 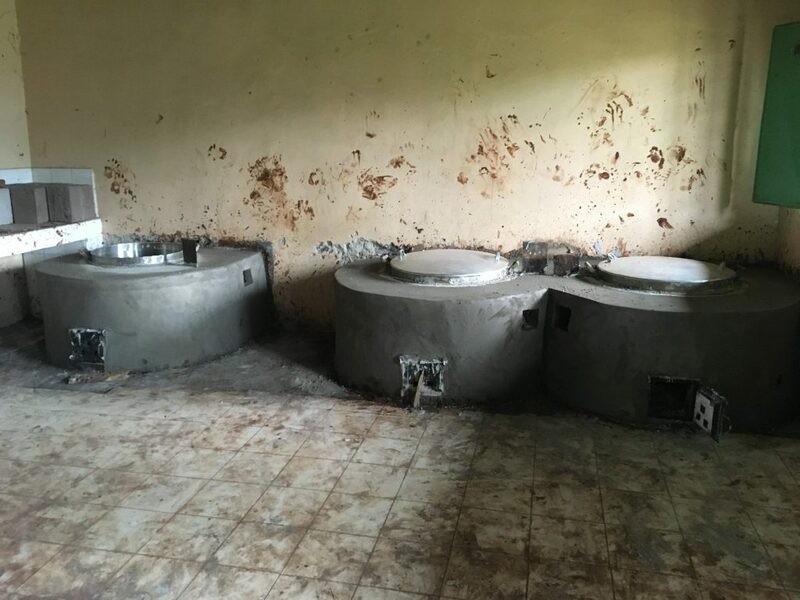 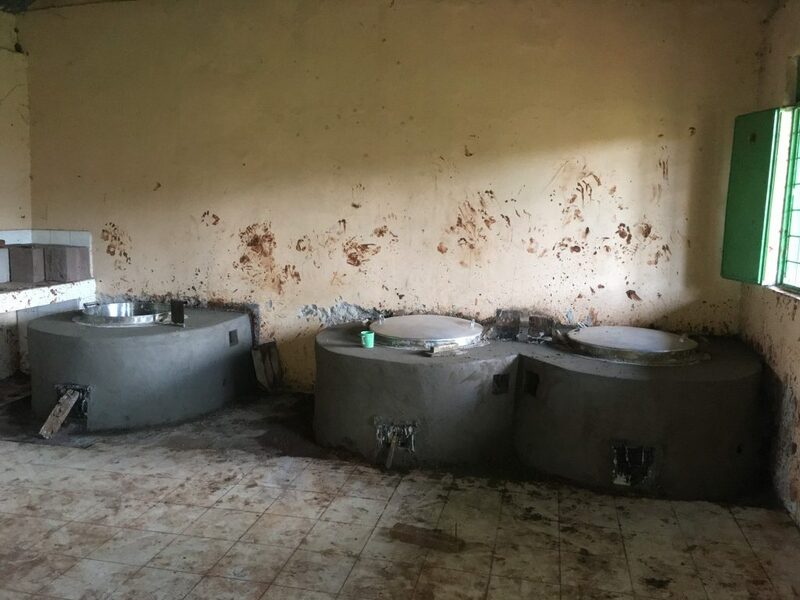 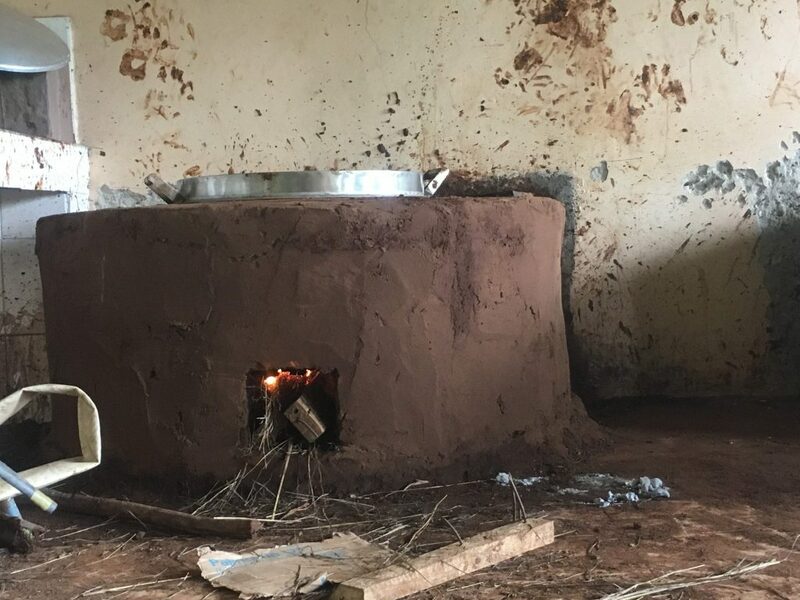 Two schools were equipped with brand new energy saving clay stoves. 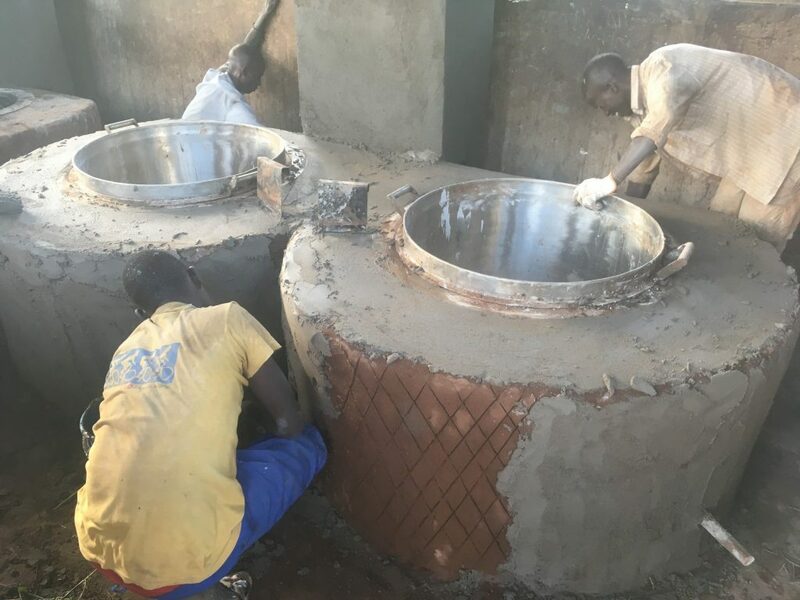 Lotome boys school with 700 pupils and Musas primary school with 450 students were handovered each 3 stoves from 100 to 200 litres. 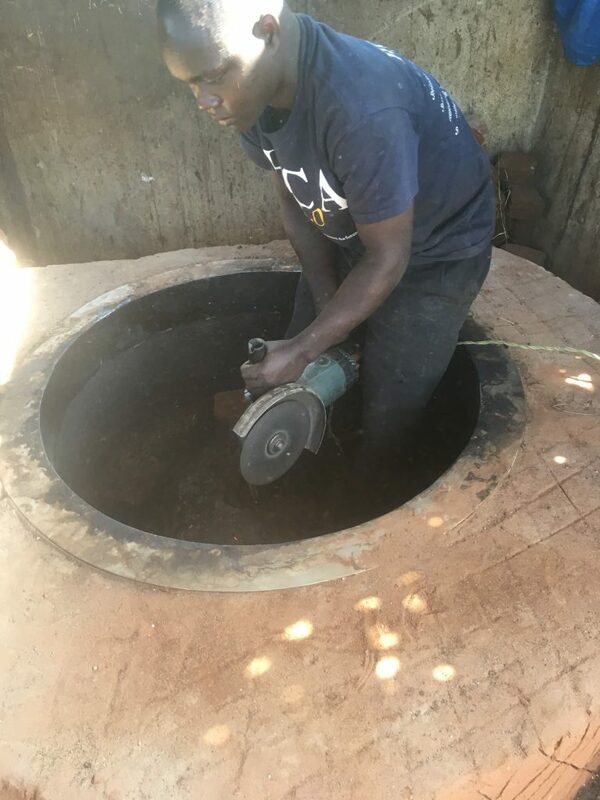 A very potential civil engineer as well as 5 young craftsmen were trained in building the stoves for various further schools. 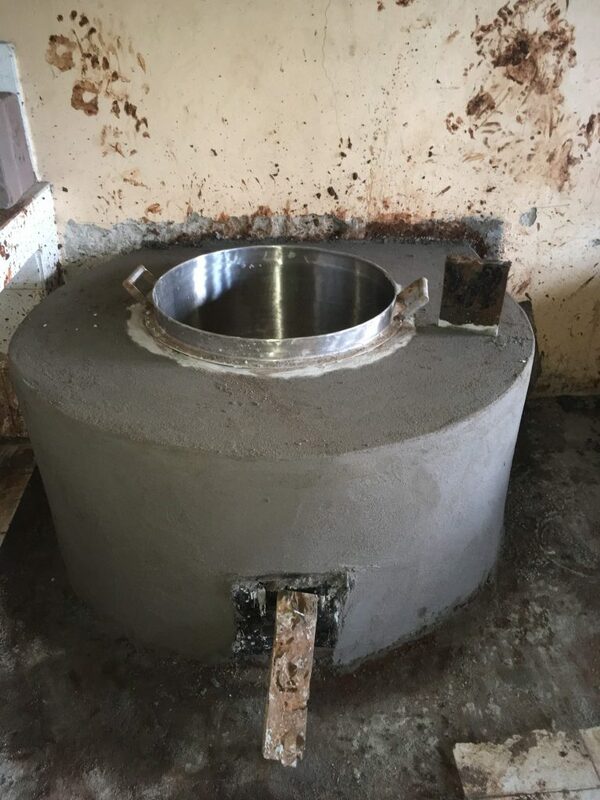 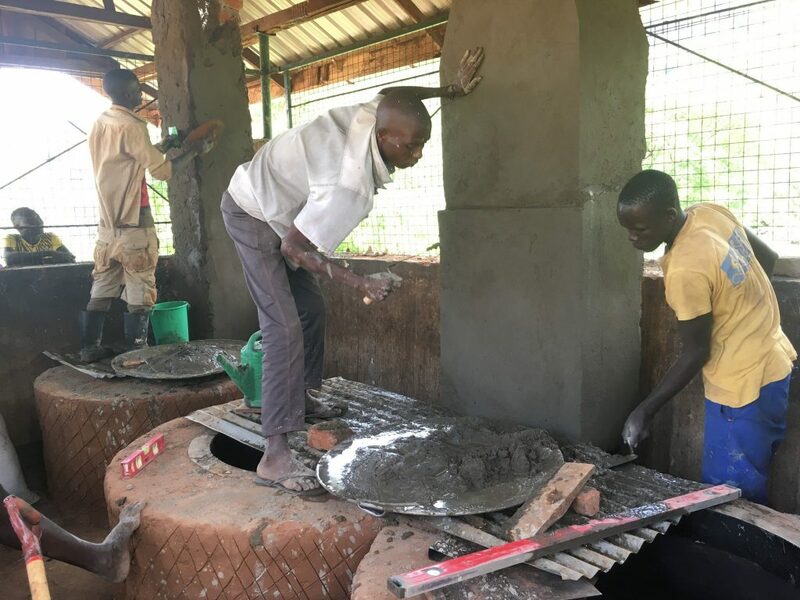 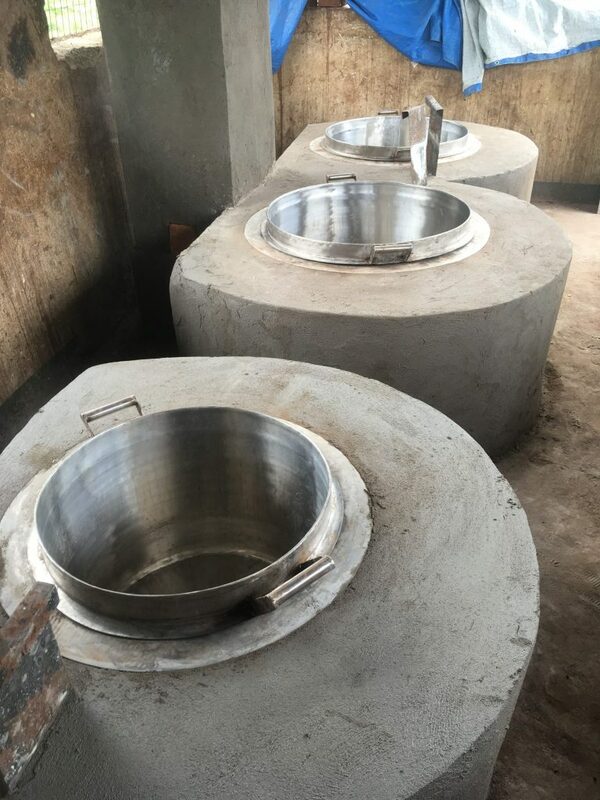 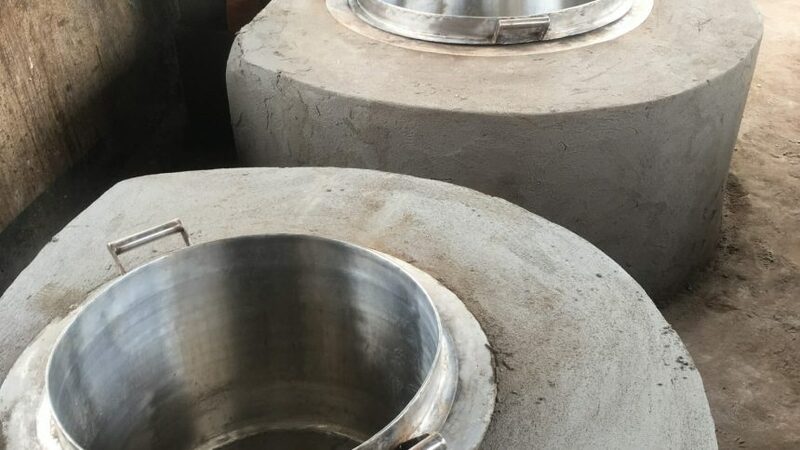 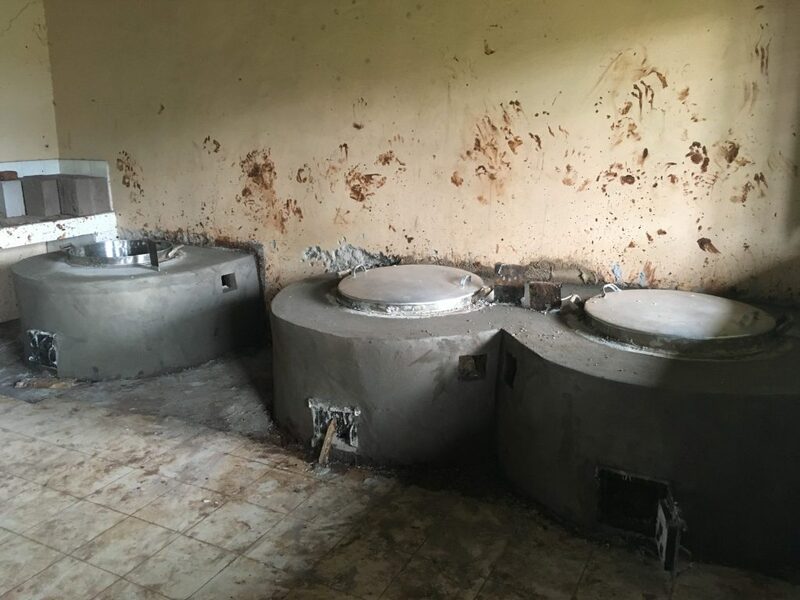 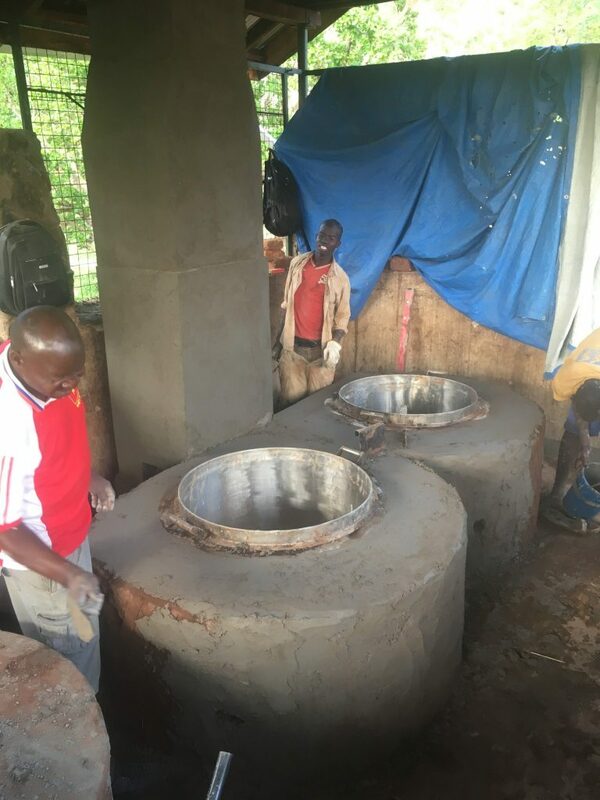 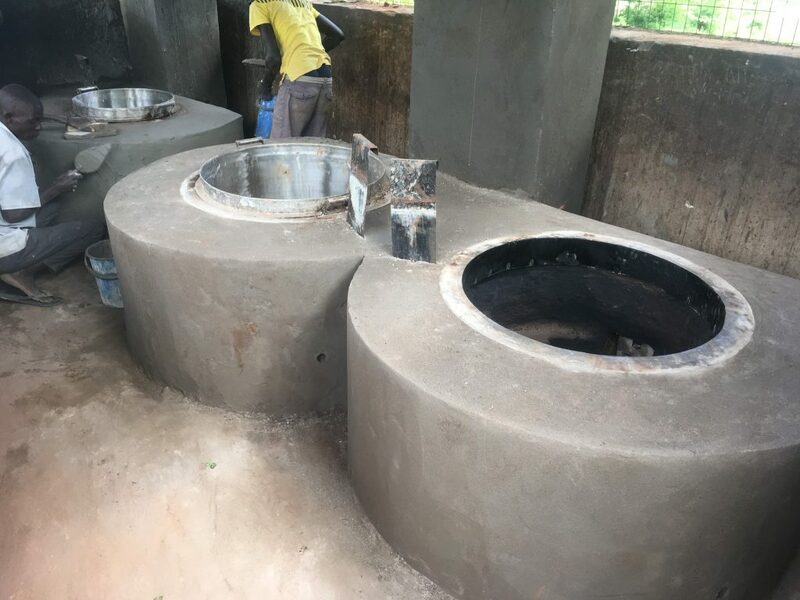 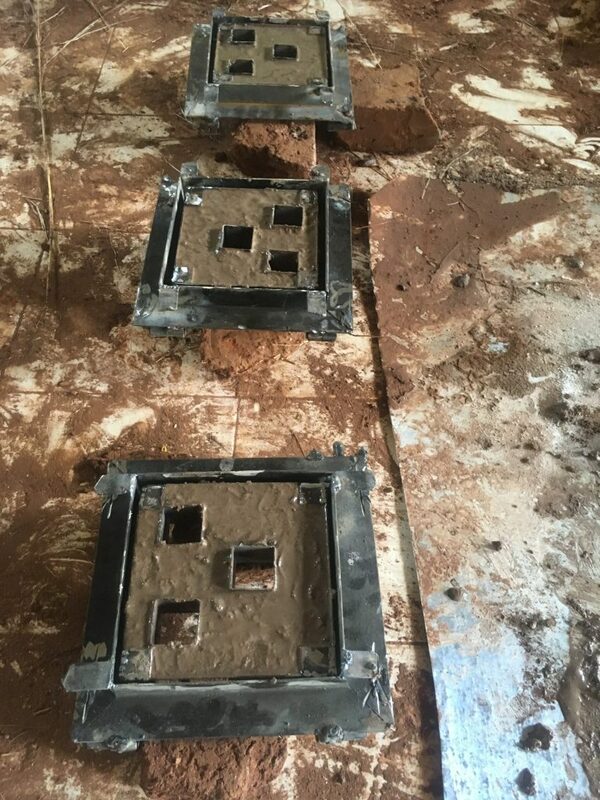 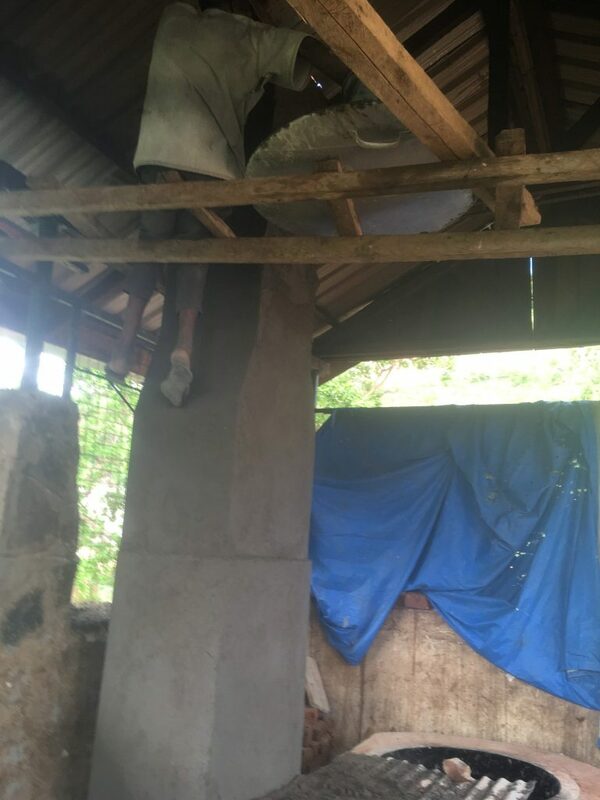 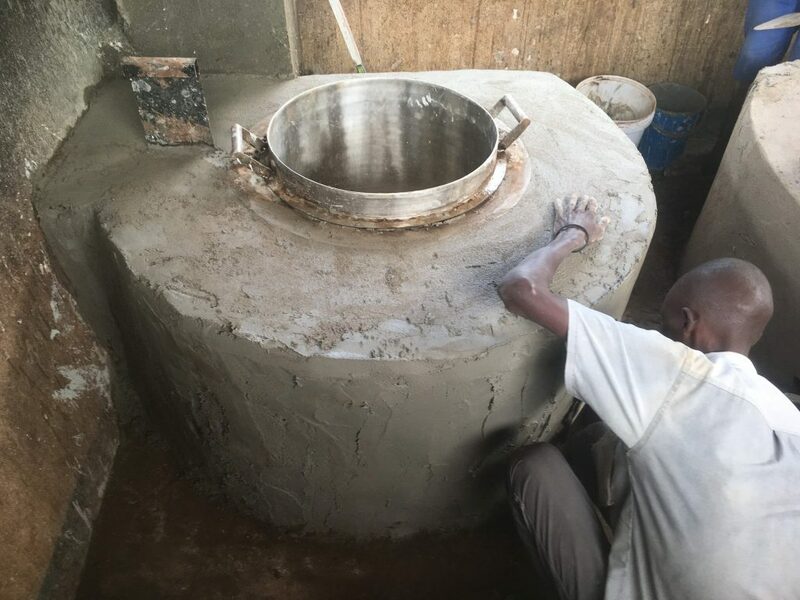 Within 25 days we produced various different bricks, built six stoves, three chimneys, fired all the stoves in a special process, plastered them and trained the cooking staff on how to use that stoves. 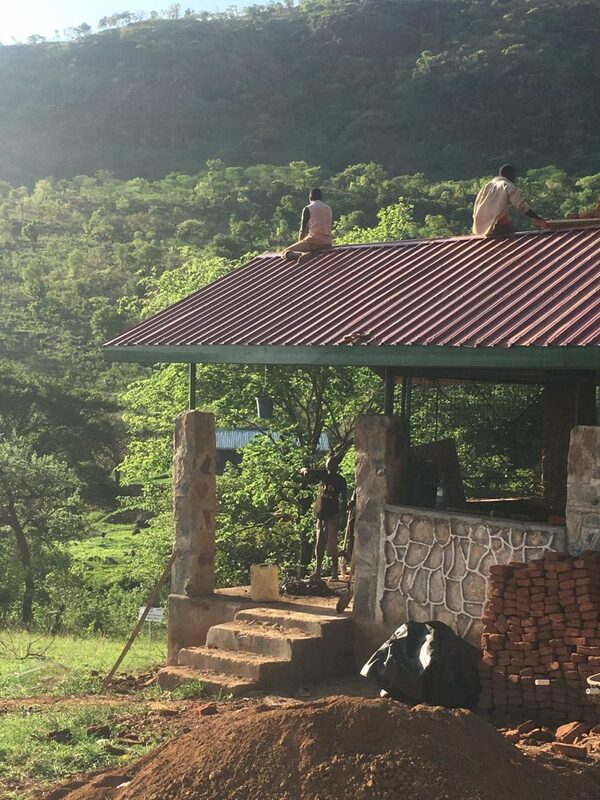 It was a lot of time pressure to finish such a project in this short period, but hopefully the beginning of a big change in the Karamoja area around Moroto. 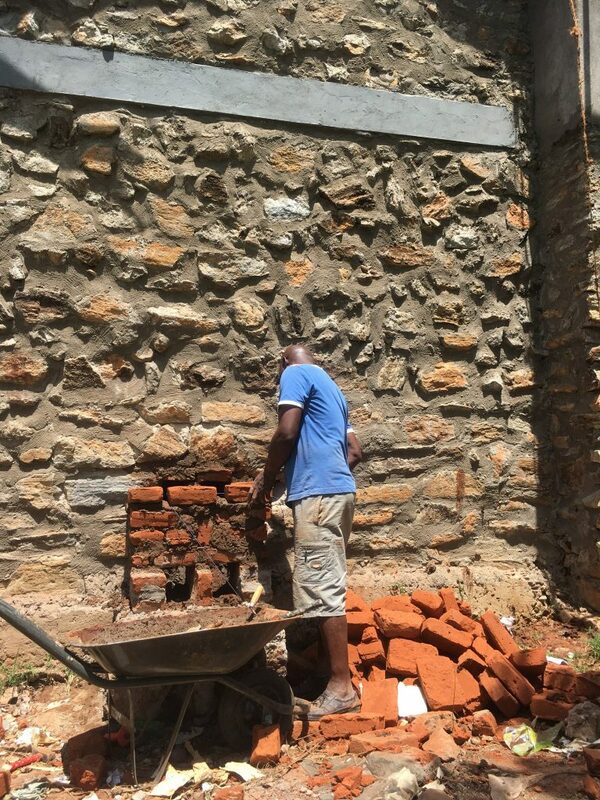 Great Job Flo…..like the Art work on the back wall….